As from today, the international Novio Packaging Group will be joining forces with Scandinavian Packaging A/S. As a result, this Danish packaging company will become a ‘member of Novio Packaging’ operating under its present name, and as from January1, 2019 under the name Novio Scandinavia. 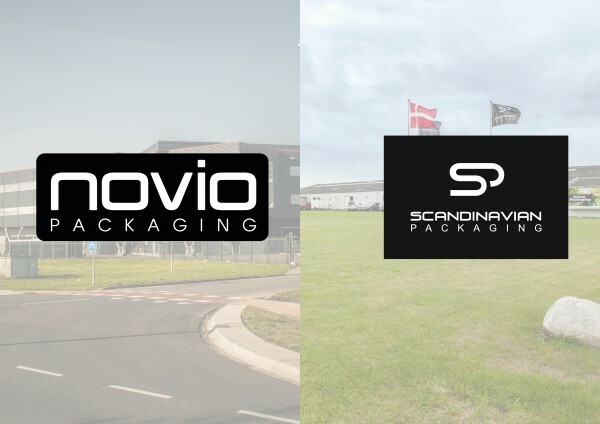 The recently established Novio Packaging Group B.V., consisting of the international packaging distribution companies Oosterbeek Packaging B.V., Alpha Packaging International B.V., Maer Flexibles B.V., Maer Hong Kong Ltd. and FehnPolycap GmbH, will use this merger to expand its distribution channels into Scandinavia. The move will also broaden the range of services and products on offer, in particular in the field of food and pharmaceutical packaging. Under the management of Hanne Zinck and Bjarke Arlø, Scandinavian Packaging will continue to develop its business from Borup Denmark. There are no plans for staff changes. The internationally operating Novio Packaging Group B.V. has been active since 1978 as distributors of primary packaging and packaging solutions for a variety of markets (from pharmaceuticals and cosmetics through to the food and domestic non-food industry). From head offices in Wijchen, the staff are focused from A to Z on the needs of their customers, offering advice, innovative solutions, and excellent service, all backed up by maximum attention for the company-client relationship. With a sound knowledge of sustainability issues, solid IT and reliable logistics, in combination with a broad network in Europe and Asia, the company achieved continues growth since 2000, expanding from 5 to the current 60 staff. Scandinavian Packaging, member of Novio Packaging, has been manufacturing and distributing packaging materials for the food and personal care industry in Scandinavia since 1946. The company operates from Borup, Denmark, has tripled its sales since 2009 when current management stepped in and currently employs 42 people. The company values: quality, reliability, understanding and the focus on sustainability and social responsibility all enjoy high priority.